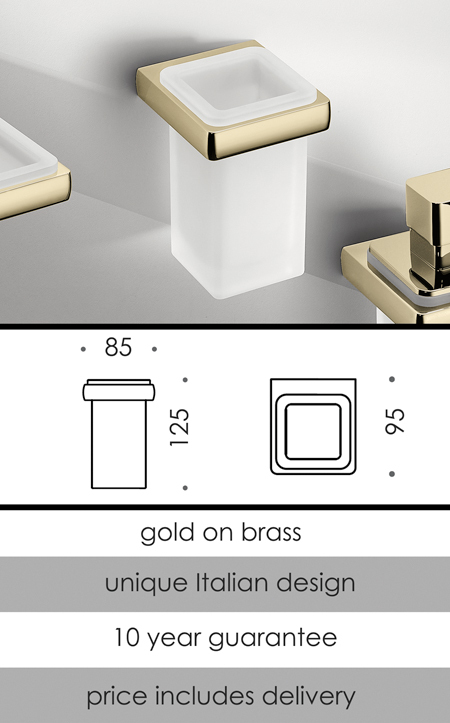 A contemporary Italian design with a frosted glass cup and a gold plated holder this toothbrush holder is high quality luxury. Part of a full gold bathroom accessory collection. * Frosted glass & gold on brass.